Shotpouch Creek flows from the west side of Marys Peak and is a principal tributary to the TumTum River, draining into the Marys River south of Hwy 20 in the Coast Range. 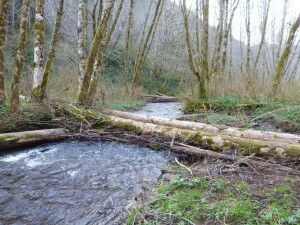 Shotpouch Creek is a predominantly rain-fed system draining from Marys Peak. It provides habitat for resident and fluvial cutthroat trout and Pacific lamprey. The Marys River Action Plan (2003) identified Shotpouch Creek as a system with high potential for cutthroat trout habitat. Our RBA snorkel inventories in the basin have documented very low numbers of winter steelhead parr rearing in Shotpouch Creek. In 2009, Marys River Council assessed Shotpouch Creek using a Rapid Bio-Assessment (RBA) snorkel inventory. Shotpouch Cr Rapid BioAssessment 2009 Adult Pacific lamprey, brook lamprey, cutthroat trout and juvenile rainbow-steelhead were observed in Shotpouch Creek during the RBA. Survey results validated the 2003 cutthroat trout habitat potential model. The upper reach of Shotpouch Creek displayed the highest cutthroat trout densities we have seen anywhere in the Marys River watershed. Trout densities were much lower than might be expected however in the middle reach. The survey identified that the primary limitation to fish habitat on Shotpouch Creek was the excessive summer water temperature associated with summer low flows and lack of riparian vegetation in the middle or “pasture reach”. This reach was historically the site of a large commercial dairy, and is now a series of ranches running small herds of livestock. 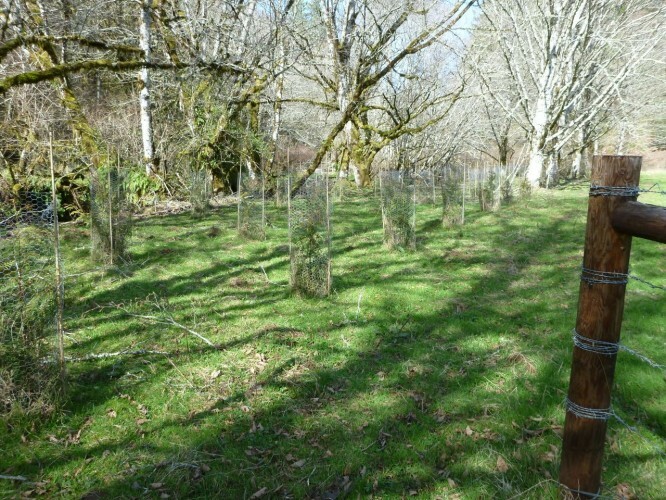 The RBA provided the basis for a multi-phase, multi-landowner Shotpouch Creek Restoration Plan. The plan was developed collaboratively with Shotpouch landowners and land managers. The process began with a neighborhood gathering to present survey results and gather local knowledge about the creek, and continued with a series of visits with individual landowners. Beginning in 2010 and continuing through 2015, fifteen landowners have participated in restoration projects on Shotpouch Creek. Native trees and shrubs have been planted on more than 39 acres of formerly open stream banks and 3.3 miles of livestock exclusion fencing has been installed. All seven identified fish passage barriers have been addressed. 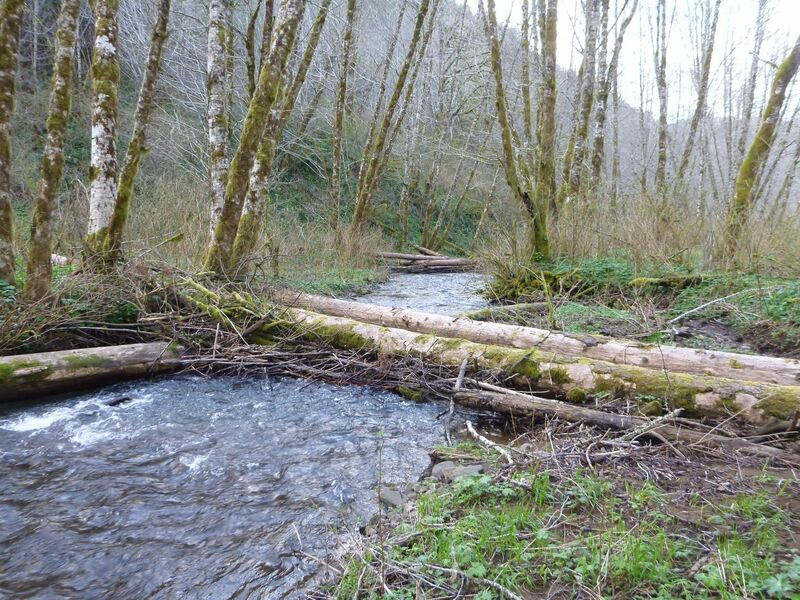 Large wood has been placed along 4.2 miles of stream to accumulate gravels and increase the interaction of winter flows on the floodplain and two winter alcoves have been reconnected to the stream channel for off-channel slow water habitat.